Mia…….what a difference 2 months can make!!! We started out extremely well, hitting all of our minute markers almost perfectly. I was more than 4 1/2 minutes into our course when things went from fantastic to horrible. We jumped over a huge brush at 13a and a down bank into water at 13b. 13 c was on a left bending line on the side of a hill just outside the water. I had him straight and forward, and I was riding him well to the large log. His front legs were up in the air over the log when he decided to jump sharply to the left. I remember taking out the left flag with my head as Gus went left and I went over the fence to the right. My air vest deployed, and I bounced as I hit the ground on the far side of the log. The vest knocked the wind out of me, but I was fine otherwise. Someone caught Gus for me, and he was also unhurt. It was a nasty runout, making me think that perhaps Gus is not willing to continue on with his push up the levels. He has two weeks off, and then he will probably stay at preliminary . It was sad to discuss the possibility of buying a new horse with Elissa today. Time will tell. In the meantime, I will have some time to get Emerson and Mia going. 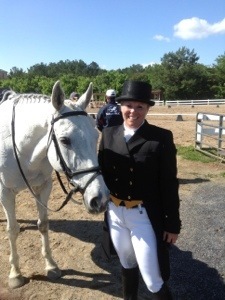 Today we put in a great dressage test! We didn’t score quite as high as Elissa felt we should have, but everyone was very happy with it. We got all 6’s and 7’s which made it a very balanced test. 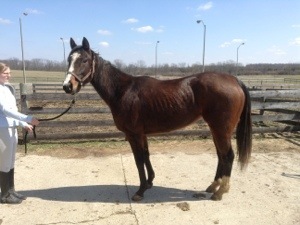 We are one step from “fancy”, and I hope to get it out of him at our next show in June. Tomorrow is xc. 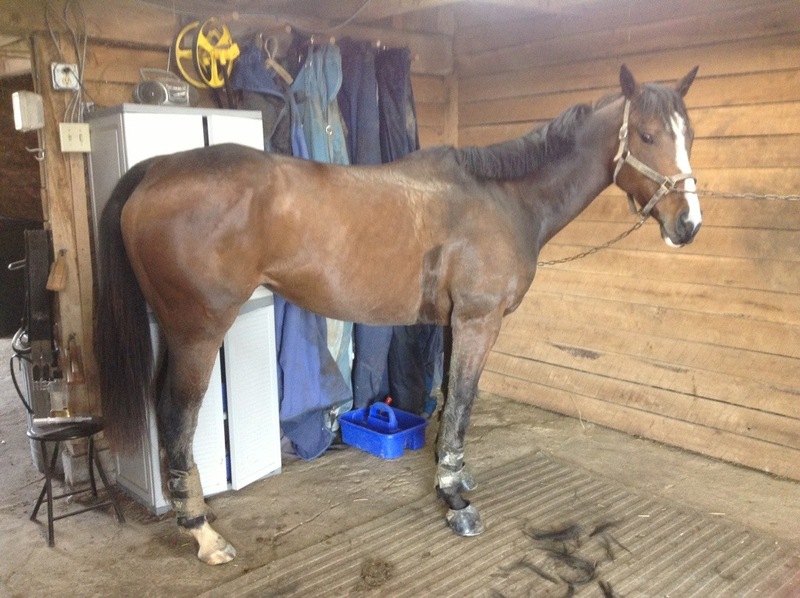 It is fairly difficult and very long…..nearly 8 minutes of galloping. Our d box is set up, and Gus is as ready as he can be. I’m hoping to have great things to report tomorrow! Today I woke poor Gus up at 5am to give him a bath and throw him in the trailer. 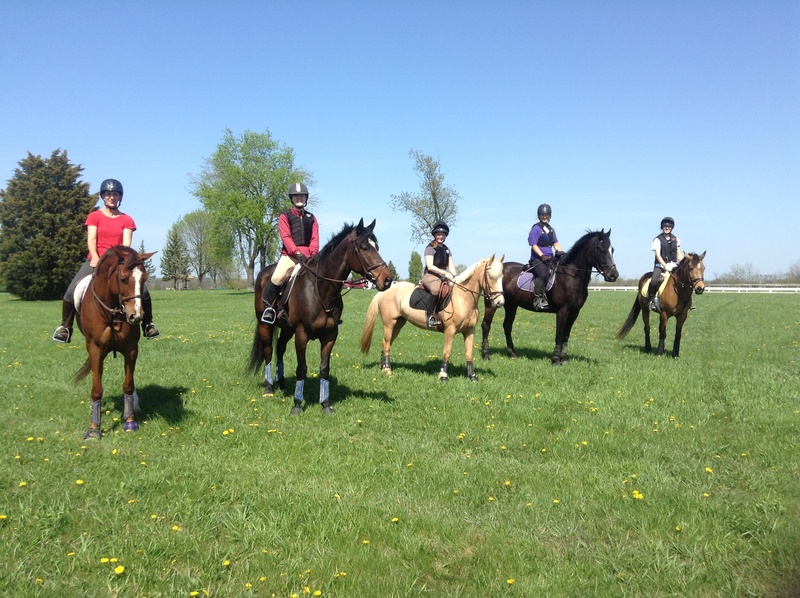 We made it to the Virginia horse park before 1pm….and the chaos began. Unpacking and more bathing. We did our “in barns” at 2:30. The vet took Gus’s vitals and checked his passport. So far so good. At 3 we had a mandatory FEI meeting that lasted thirty minutes. After that, I had to braid Gus and get him ready for the jog. 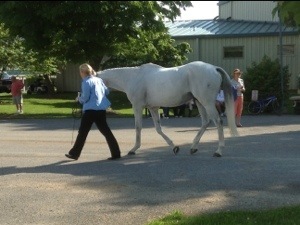 We passed our first jog, and then took a dressage lesson Elissa. Tomorrow we do dressage at 4:35pm. 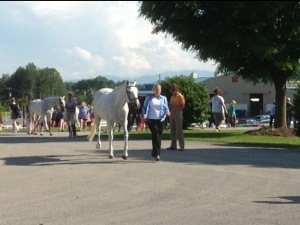 My division has 40 riders in it…..including Philip Dutton and Kim Severson. I had a great dressage lesson tonight, and am looking forward to riding this test in my new saddle. 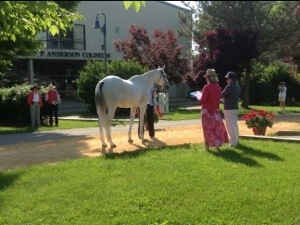 We are planning to attend the June 2 nd dressage show at the Riding Centre in Yellow Springs. Entries MUST be postmarked by Saturday, May 18th. If you would like to attend the show, please contact Joy as soon as possible. Trailer space will be limited. 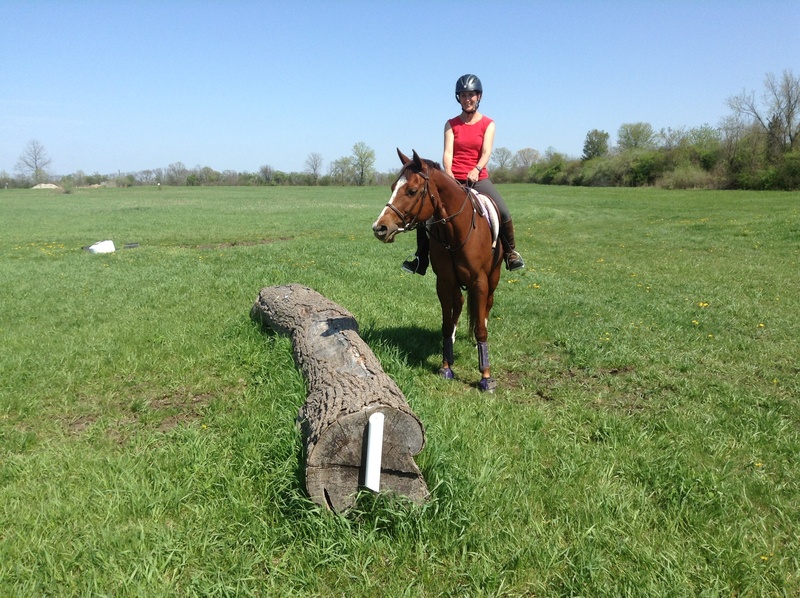 A great day for xc schooling!!! 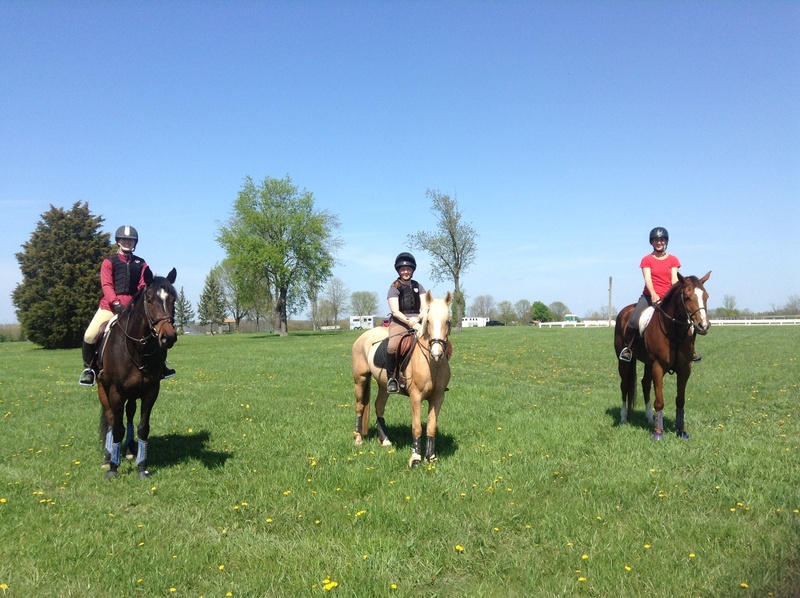 Today was a great day for schooling! Aragon and Quinn jumped around the novice course in preparation for Greater Dayton. Kelli and Buttercup did a great job on the starter course, and Meg and Mckinley made their way over some Beginner Novice fences. 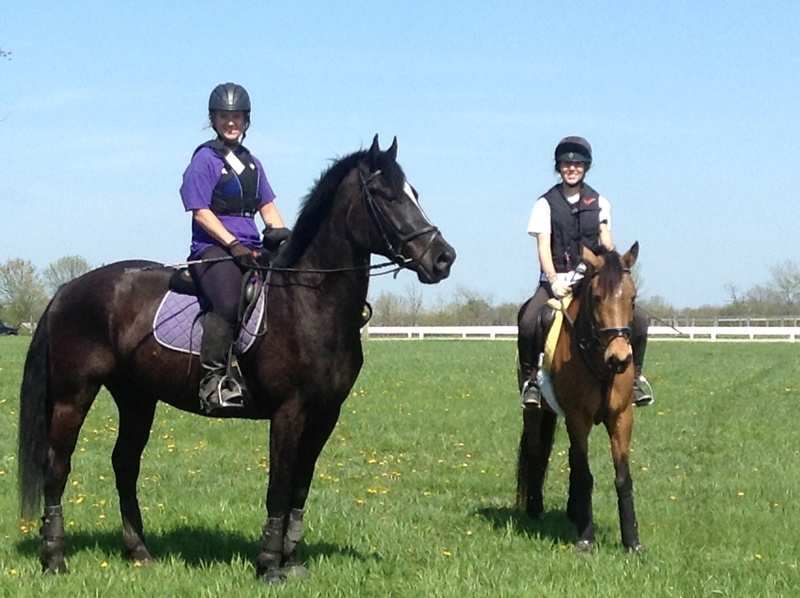 Congratulations, Jodi and Socks on a really quiet and successful schooling! 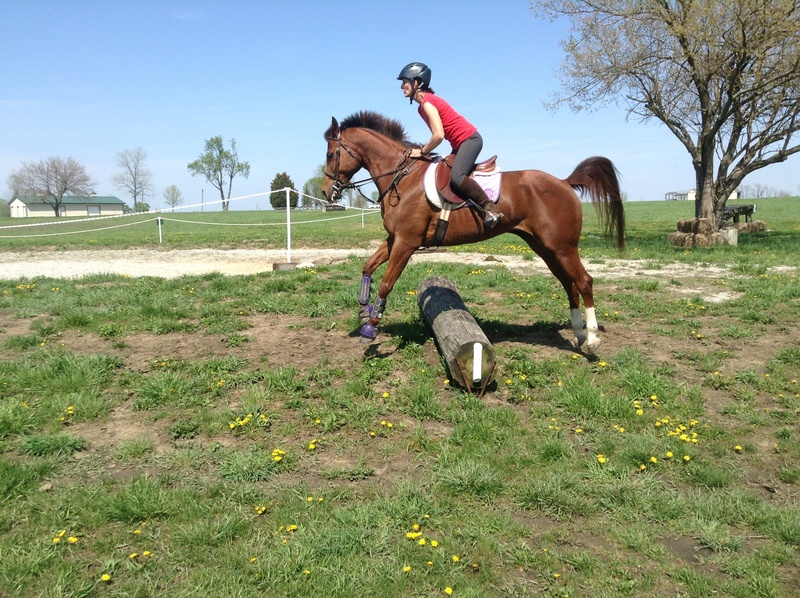 We are slowly trying to convert Jodi into an eventer!